Judging from the luxury apartments in Falls Church that you’ve chosen, you’re not a corner cutter. But there are some surprising household objects you might be shortchanging yourself on – from flowers to food. When you purchase those higher-quality items, not only will you enjoy a corresponding higher quality of life, but you’ll also be able to enjoy these items for years to come. We bring you: the five home items worth splurging on. Unless you’re an extraordinary chef who’s always had an affinity for Calphalon, you probably have some cookware floating around – somewhat non-stick pans and the like – that aren’t quite cutting it. Speaking of cutting things, what about those bendy knives? And that can opener that keeps slipping? If you’re cooking with inferior cookware, not only are you probably going to be more frustrated as you cook, you’ll probably turn out food that’s not reaching its full potential. It’s much harder to turn an omelette in a pan that’s riddled with inconsistent hotspots. 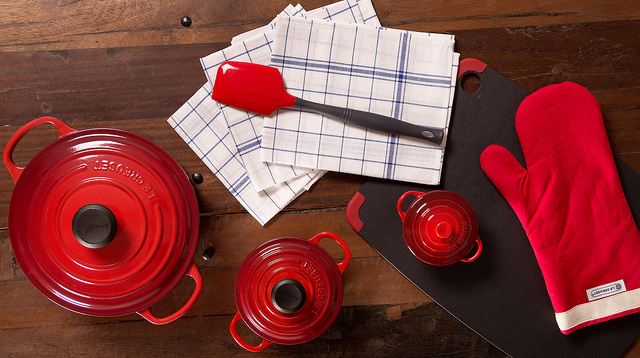 You’ll likely find your cooking improves when you invest in cookware that lasts. You probably don’t buy flowers unless it’s a special occasion, but experts say flowers improve your mood, and we could all use more of that in our stress-filled lives. They don’t have to be expensive, and if you’re allergic, obviously don’t bother. But if you buy the flowers you actually enjoy – perhaps they’re simple daisies that remind you of carefree childhood moments – and if you feel like making the commitment, buy plants in beautiful pots that actually grow and require care. You may feel like you spend most of your time at work, but the reality is most of us spend the majority of life on one piece of furniture: our beds. A bed is not only the haven you’ll return to at the long end of your day, but it’s also the place where you get much-needed rest to accomplish everything you need to at – you said it – work. Pay attention to thread counts, invest in a higher-priced mattresses (do your research but most of the time, it’s more money for a reason), and enjoy better sleep. Sure, you could subsist on mac ‘n’ cheese and cookies & cream ice cream every night. It’s easy, not too expensive, and will make you happy – in the short term. Once those pounds start accumulating, you’re not going to feel quite as happy about it. The solution? Spend money at the grocery store on high quality, healthy food that doesn’t just satisfy in the moment. Bonus points if you cook the roasted garlic brussels sprouts and rosemary chicken from scratch, as you’re getting some exercise in there, then invite friends over to your luxury apartment. Now that you’ve elevated your belongings to the best of the best, why not get an apartment to match? Get in touch with us today to learn all about what you’ve been missing, and step into a life of comfort and luxury you never knew existed at West Broad.